If you’re confused about the different formats and files that the Certificate Manager will accept in AWS, this site explains it fairly well. The Certificate Manager contains 3 fields during the import process. 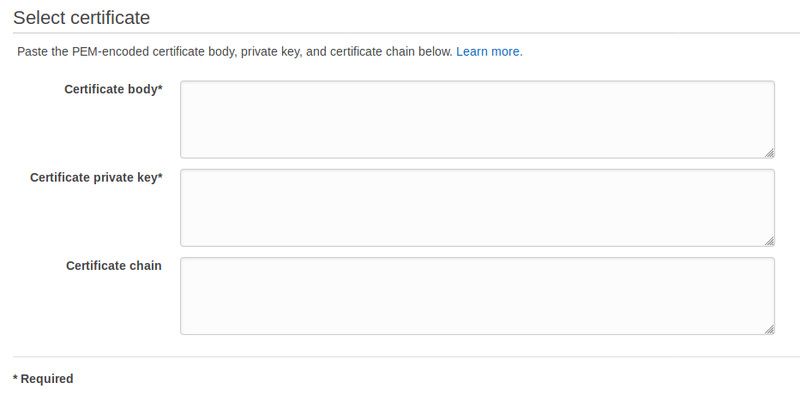 Certificate body, Certificate private key, and Certificate chain.